Rise of the Dragon by Dynamix (and Sierra), despite its flaws and irritating arcade bits, is one of the adventure games I absolutely love. Always did, actually. It looked stunning in its 256 VGA colours back in 1990, the first person point of view is handled admirably, the atmosphere is brilliant, the plot enjoyable in an over-the-top way and, well, I just love the thing. 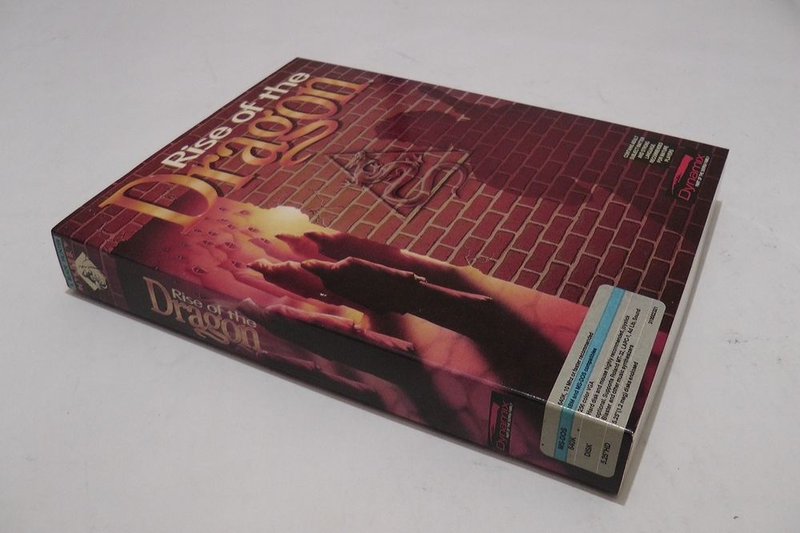 And, what with this Rise of the Dragon (MS-DOS) eBay auction, so can you. You'll be bidding on the boxed VGA, 5.25" disk version of the game for MS-DOS. The manual, comic book, registration card, disks and Sierra catalog are included, and everything seems to be in great condition.